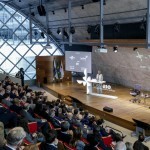 The new business environment of Rio de Janeiro will be on display during the 2016 Rio Games, with six conferences on the Casa Rio program during the Olympic period. On the agenda of these events, which take place during August and September, are themes related to New Economy, Entrepreneurship, Smart Cities, Tourism, Digital Media and Energy. 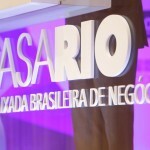 On the eve of the Olympic Opening Ceremony, August 4, the Inter-American Development Bank, in collaboration with Rio Negócios, will host at Casa Rio the Beyond The Games Global Summit, with world leaders sharing their views on the future of the economy and business. In discussion, the impact of technology in generating business and the offer of new business and trade opportunities within the current economic scenario. August 10 and 11 will be dedicated to sectorial conferences on Entrepreneurship and Smart Cities, respectively. The first event will have as its theme the building of an environment in which major companies invest in qualifying new suppliers, strengthening thus the supply chain. 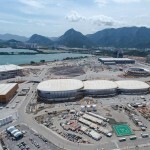 The Smart Cities event will discuss the impact of technological breakthroughs and its applications in solving urban management challenges, using the example of Olympic cities. The following week, on August 16, Tourism and City Branding will be the theme of the conference debating city brands as a competitive asset when attracting investments. On August 17, it’s time for the Digital Media conference, with a debate centered around new business models in communications and the gaming market boom. On September 12, bringing the Casa Rio program to a close, the final conference discusses how technology and sustainability will influence the offer and demando f energy in the 21st century, and the search for new solutions to increase efficiency in the sector.